Traefik is a modern HTTP reverse proxy and load balancer that makes deploying microservices easy. Traefik integrates with your existing infrastructure components (Docker, Swarm mode, Kubernetes, Marathon, Consul, Etcd, Rancher, Amazon ECS, ...) and configures itself automatically and dynamically. Pointing Traefik at your orchestrator should be the only configuration step you need. Imagine that you have deployed a bunch of microservices with the help of an orchestrator (like Swarm or Kubernetes) or a service registry (like etcd or consul). Now you want users to access these microservices, and you need a reverse proxy. Traditional reverse-proxies require that you configure each route that will connect paths and subdomains to each microservice. In an environment where you add, remove, kill, upgrade, or scale your services many times a day, the task of keeping the routes up to date becomes tedious. This is when Traefik can help you! Traefik listens to your service registry/orchestrator API and instantly generates the routes so your microservices are connected to the outside world -- without further intervention from your part. In this quickstart, we'll use Docker compose to create our demo infrastructure. To save some time, you can clone Traefik's repository and use the quickstart files located in the examples/quickstart directory. Enabling the Web UI with the --api flag might expose configuration elements. You can read more about this on the API/Dashboard's Security section. That's it. Now you can launch Traefik! You can open a browser and go to http://localhost:8080 to see Traefik's dashboard (we'll go back there once we have launched a service in step 2). Now that we have a Traefik instance up and running, we will deploy new services. Edit your docker-compose.yml file and add the following at the end of your file. The above defines whoami: a simple web service that outputs information about the machine it is deployed on (its IP address, host, and so on). Go back to your browser (http://localhost:8080) and see that Traefik has automatically detected the new container and updated its own configuration. Go back to your browser (http://localhost:8080) and see that Traefik has automatically detected the new instance of the container. Now that you have a basic understanding of how Traefik can automatically create the routes to your services and load balance them, it might be time to dive into the documentation and let Traefik work for you! Whatever your infrastructure is, there is probably an available Traefik provider that will do the job. Our recommendation would be to see for yourself how simple it is to enable HTTPS with Traefik's let's encrypt integration using the dedicated user guide. 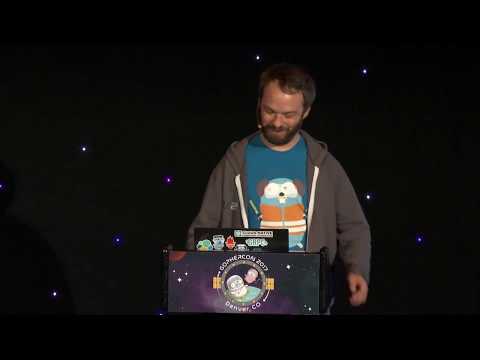 Here is a talk given by Emile Vauge at GopherCon 2017. You will learn Traefik basics in less than 10 minutes. 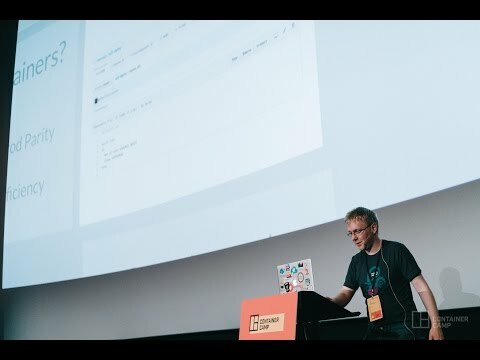 Here is a talk given by Ed Robinson at ContainerCamp UK conference. You will learn fundamental Traefik features and see some demos with Kubernetes. We strongly advise you to join our mailing list to be aware of the latest announcements from our security team. You can subscribe sending a mail to [email protected] or on the online viewer. Reported vulnerabilities can be found on cve.mitre.org. We want to keep Traefik safe for everyone. If you've discovered a security vulnerability in Traefik, we appreciate your help in disclosing it to us in a responsible manner, using this form.